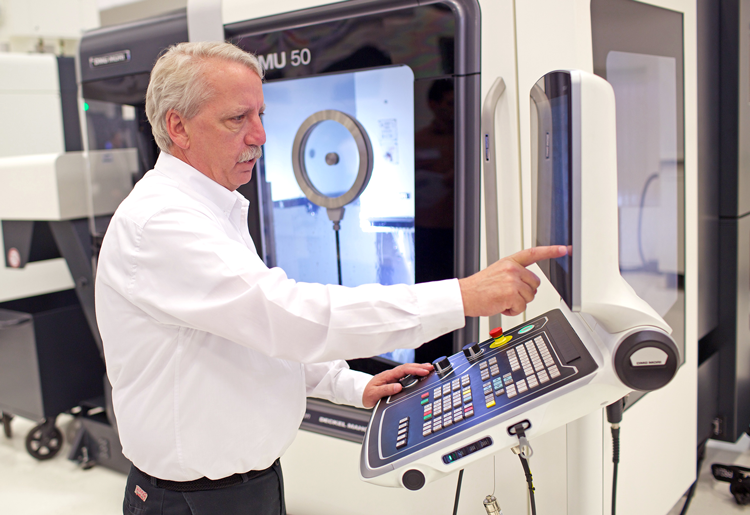 A DMG employee showcasing the DMU 50 with Siemens’ 840D sl CNC. The features of the 840D allow a streamlined simulation of the actual cutting path. 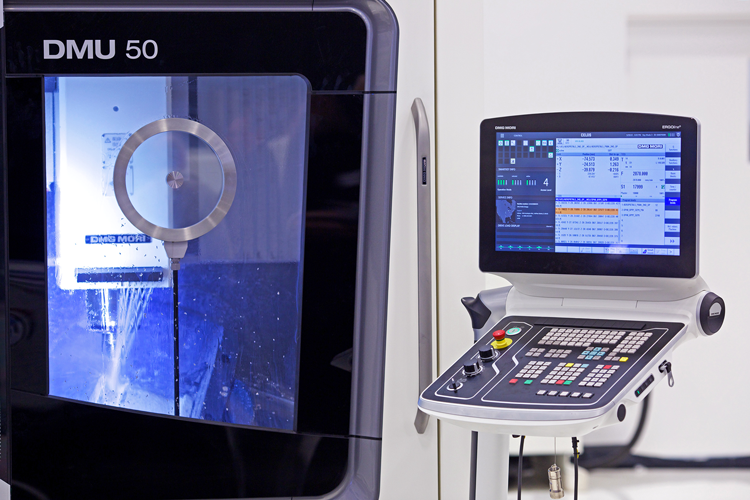 DMG MORI manufactures a wide variety of conventional chip-cutting machining centers for OEMs and production job shops serving the demanding oil-and-gas industry. Inherent in this market are several factors that lobby for great care and planning in the machining process. Typically, components produced for the oil-and-gas field are very large, very heavy and often have complex contours, making the machining time long and the tool life short. 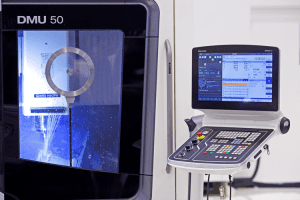 The DMU 50, although an entry-level 5-axis machining center from DMG MORI, is a compact unit that features considerable strength, as the following example will detail. “It is a David handles Goliath type of story,” says Matthias Leinberger, the business development director for Siemens PLM (Product Lifecycle Management). 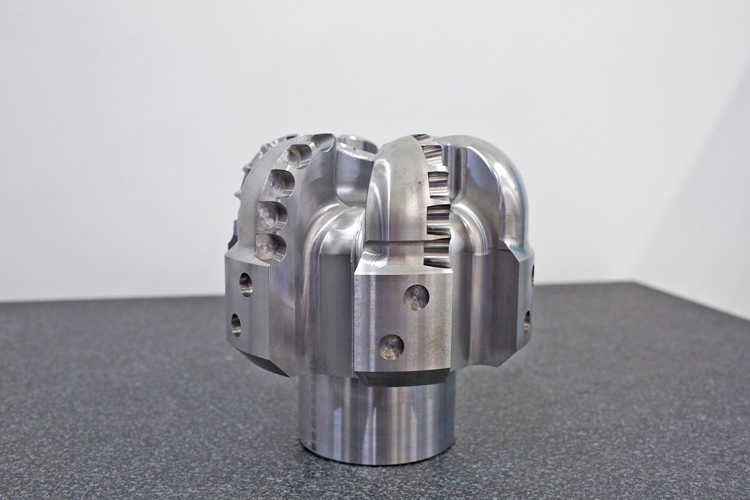 On one recent application, DMG MORI was challenged with a 440-pound, 8” diameter x 8” high workpiece made from 1045 grade steel and being machined into a rock bit for oil field exploration. The customer further presented the builder with the need for fast changeover to produce the part from various metal materials, with all the attendant tool changes and workpiece setup variances present. The customer, a major upstream oil industry supplier, was trying to decide if the better path for this product was a single block of steel or a near net casting being machined. Both high-speed roughing and then very precise 5-axis machining were required in this small footprint machine, which had been selected by the customer due to specific plant capacity utilization concerns, plus their desire for a flexible, reasonably priced and highly cost-effective machine tool. Close up of the DMU 50 with Siemens’ 840D sl CNC. 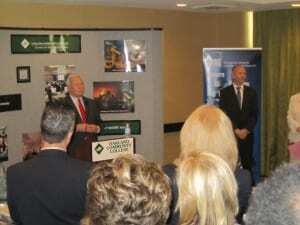 The machine builder turned to its longtime business partner, Siemens, for assistance. By offering a total package of CAD-CAM-CNC hardware, software and engineering services, Siemens was able to help the machine builder substantially improve every aspect of part production, including reduction of design-to-part protocols, machining time, tool life, surface finish, dimensional accuracies and overall production efficiencies. This scenario was particularly applicable in this case, as the production runs were anticipated to be low with short lead times. Starting from the CAD file, the Siemens PLM team ran the program through its NX CAM process, eliminating the set-ups through full 5-axis operation. The User Defined Events (UDEs) feature inside the NX program allows simple check boxes for triggering post-processors references for coolant pressure, spindle speed settings and more. This avoids manual programming and, as a result, reduced the program transition time from as long as two days to approximately 30 minutes. An oil field rock bit being machined on a DMU 50 with Siemens 840D sl CNC. Both high-speed roughing and precise 5-axis machining are possible on this small footprint, entry-level machine. The high-speed machining feature is highlighted here by Cycle 800, which is a static plane transformation that allows a 5-axis machine to define a rotated working plane in space. It is commonly known in the trade as 3+2 programming. The cycle converts the actual workpiece zero and tool offsets to refer to the rotated surface. Of note here, the cycle accommodates particular machine kinematics and positions the physical axes normal to the working plane. This is referenced as TRAORI or transformation orientation. Meanwhile, Sinumerik Operate, the CNC’s easy-to-use, graphical user interface on the machine allows the operator to perform a variety of integrated tool management and information management functions, all transportable on a USB or network connection. In the simulation, the loading and fixturing of the workpiece is performed virtually in the NX CAM program, which also calculates a consistent chip load, critical in these large material removal applications. The simulation further verifies the tool length at all cutting sections and the program is finalized for the machine to begin. In the CNC, the Sinumerik Operate affords the end user’s operator and manufacturing engineering personnel full access to a variety of conditions in production, including all roughing and finishing data in plain text, plus all 5-axis transformation orientation data logged for restart after any interruption and manual restart. An 8×8″ rock bit machined from 1045 grade steel on the DMU 50. Speedy setup and machining was made possible with Siemens’ total package of CAD-CAM-CNC hardware. Easy-to-use probing for work offsets is another advantage the builder and their customer enjoy with the CNC used on this machine. The operator is guided graphically for setting the workpiece zero, for example, while the tool length is automatically included in the calculation. With the Operate system, the difference between the position value in the machine coordinate system and workpiece coordinate system is saved in the active zero offset. The variable streamline operation of the machine tool combines here with an interpolated vector to produce a smoother finish in the machining of the intricate rock bit surfaces in a single tool path. 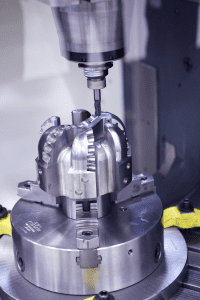 The machine seamlessly transitions from square-to-round machining and then the extreme angle paths needed to accurately machine the internal surfaces. A single bit portion of the program is automatically captured, so a step-and-repeat program can be built-up. The simulation of each bit cutting path was done on both the NX CAM and the CNC programs. It is literally like working with a “Digital Twin” of the machine. This vectored program, it should be noted, is transportable to any machine with comparable results, according to Randy Pearson and PLM director of business development Matthias Leinberger, who comments, “Precisely because the machine kinematics are knowable, this program, once created, can be transferred onto multiple machines within the same facility or run by shops around the world, all tied together by the control, so there is total continuity between the operations, the data capture protocol and feedback received for production analysis.” Randy Pearson further noted that, in this application, the customer’s desire to change the materials used on successive runs could be easily accommodated by the control, owing to its ability for on-the-fly adjustments, based on the orientation of the tool tip to the workpiece. 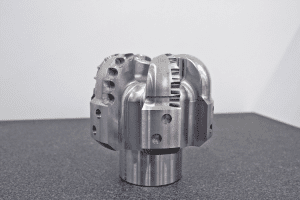 This project was accomplished, using CELOS® onboard the DMG MORI machine. CELOS facilitates the total interaction between operator and machine, in this application, as it has numerous apps to enable instant call-up of actual conditions, full data comparison through a link to CAD and CAM products, plus full interface to the customer company’s ERP system for logging and analysis, with in-process remote adjustments achievable. In the case of this oil-and-gas customer, interactive communication to a global production network is also provided, which allow the customer to run parallel production of different rock bits at locations around the world, with seamless data tracking and full production analysis. 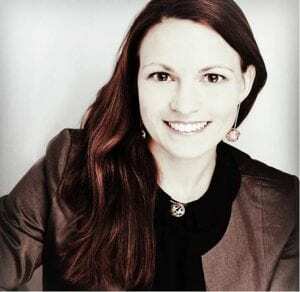 by Ramona Schindler, Siemens Industry, Inc.
Ramona Schindler is the business development manager for the digitalization of machine tools at Siemens Industry, Inc.
With the machine tool industry in flux currently, as it seeks to find its way into the digital world, the entire process chain necessitates the integration of suppliers who can respond to the needs of the industry. The situation has very little “history” and so large end-customers and machine shops of all sizes are seeking assistance from their suppliers, while the machine tool builders are likewise seeking to partner with hardware, software, communications and controls suppliers to bring the most needed machine types to market. Within this scenario, the large manufacturers focus on the “big picture” as they link their production departments, often located in different cities or even countries throughout the supply chain, while the small contract manufacturer with a dozen local customers wonders how this drive to the digital factory will impact their world— and it will. The good news is they can already utilize the IT, apps and communication devices onboard many of today’s advanced machine tools and the rapidly emerging skill sets of new workers in the machine tool industry to develop and implement the three basic levels of machine shop operations. These levels comprise the communications hardware and protocols at the machine, the integration of inline machine production and the data resident in the cloud, which can be used today in many ways to boost productivity through automated analytics of the shopfloor’s utilization; to enhance shopfloor flexibility through optimized methods of production; and to preserve data security by state-of-the-art software solutions. In essence, the capture and manipulation of such data drives the productivity of a small shop or large production department in quite similar ways. The concept of your manufacturing seen as an eco-system, with information and control capabilities at all levels, can drive that “factory of the future” and, the good news, it can do so today. From the CNC on your machines, whether they are number three in a mold shop or three hundred at a transmission plant, you can extract the pre-analytics that can be used to feed existing apps or to develop the most beneficial apps to suit your production scheme and workflow. The beauty of the app, whether you create your own, have a third-party integrator develop it or use existing solutions, is that it provides the hierarchy of information to your operator, line supervisor, plant operations personnel or global IT department in a similar manner. This scalability offers immediate benefit to manufacturers of all sizes and it does so, right now. For example, machine tool users can quickly and easily configure a CNC machine’s connections and ascertain its program status and operating mode. This will lead to increased manufacturing productivity, reliability and availability of the machine. Cloud-based systems always raise the question of security issues, as the data flow in real time at high-speed and can be made accessible to many levels of information managers and operations personnel. It is critical that a thorough assessment of the access to that data precede the development of any communications protocol. Digitalization is not necessarily a costly undertaking. First steps can be quickly implemented on the shopfloor, for example, through the use of small PCs like Raspberry Pi. Likewise, for the machine tool builder, the development of “digital twin” engineering, where a machine is fully designed, commissioned and test run in a virtual environment, is rapidly changing the playing field in this industry. The number of connected machines is increasing exponentially and this is not simply engineering adornment, it is a necessary function for any manufacturer. Being able to quickly determine the overall equipment effectiveness (OEE) and conduct practical, beneficial predictive maintenance actions on your machines will contribute greatly to the production and profitability of your operation. The management of today’s manufacturing shops and production departments have the challenge to become aware of all these available technologies and chart a course for their implementation. This is not a “someday” scenario; it is a vital journey for shops of all sizes, if they want to remain competitive in today’s changing market. My last advice, look at digitalization as an umbrella for the secure shielding of smart data, not just big data. IIOT is the essential connectivity for all the elements of data on machine performance, materials flow, operations efficiency and ultimately your overall productivity. 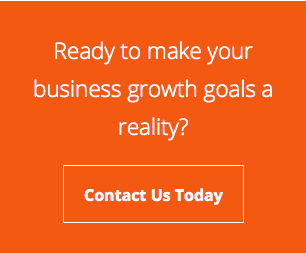 It’s an exciting time in our business. Digitalization, for example from Siemens, can be implemented at every level of machine tool operation today. 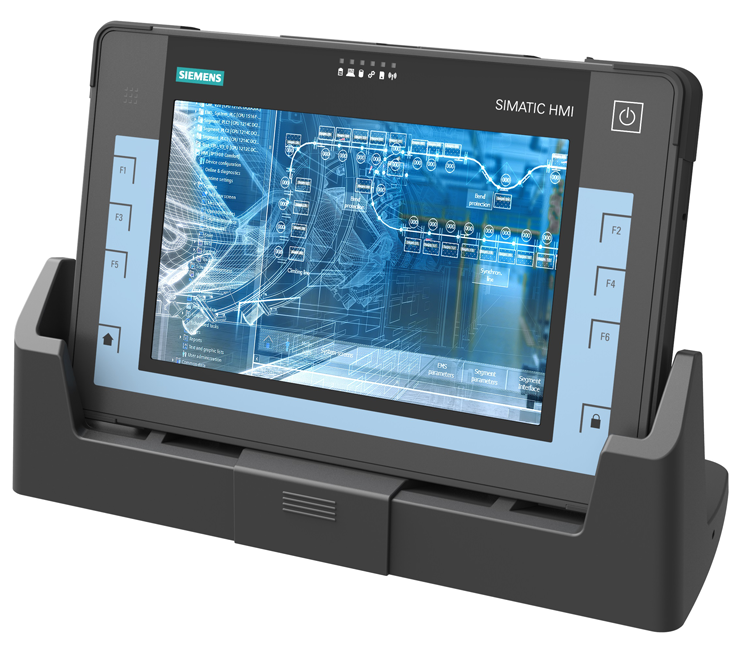 At the recent Medical Design & Manufacturing (MD&M) show held on February 6-8 in Anaheim, California, the PC-based Automation Marketing Manager from Siemens Digital Factory Division, Thorsten Julich, announced at the booth that the company plans to develop the medical equipment market for its box, panels and rack PC products. In addition, Julich noted the suite of products targeted for use in the North American market are being assembled at the Siemens facility in Lebanon, Ohio, thereby shortening lead times significantly, up to 40%, for the OEM machine builders and system integrators. “As time to market for new product development continues to shorten in the industrial PC market, while the life cycle of such products has become longer,” Julich noted, “it is critical that Siemens bring its embedded box and panel products to market in a more efficient manner.” He also observed the drive to upgrade systems from older technologies at all levels of the healthcare industry is moving quickly, as the market trends toward a digital and cloud-based environment with customized apps to enable more immediate and network-wide system of record-keeping. Commenting on the Lebanon, Ohio facility, Thorsten Julich noted the in-house development of Siemens IPC technology for this market segment will include both software and motherboard manufacturing. Complementing the PC product offerings, rugged handheld units with Windows 7 or 10 compatibility, will be offered for technician ease-of-use and connectivity to cloud-based systems. A scalable portfolio of products, based on Intel CPU technology, will provide a full spectrum of configurations to suit most applications currently in the medical equipment market, Julich said. Single- and multi-touch panel PCs will be offered in 7”-22” displays in the company’s Nanobox/Nanopanel and Microbox/Micropanel designs. Julich concluded, “Because our IPC range has full interface capabilities with SCADA software plus the medical grade tablets offer full compatibility with networking solutions in the digital world, we believe the company is well positioned to enter this medical equipment market with a very substantial and sustainable suite of products and services.” He also mused the Lebanon, Ohio facility would give Siemens something of a “home field advantage” in the market. To learn more about the event and products, please visit: usa.siemens.com/ipc or contact Siemens via email at info.ipc.us@siemens.com. Siemens Digital Factory (DF) offers a comprehensive portfolio of seamlessly integrated hardware, software and technology-based services in order to support manufacturing companies worldwide in enhancing the flexibility and efficiency of their manufacturing processes and reducing the time to market of their products. Siemens Corporation is a U.S. subsidiary of Siemens AG, a global powerhouse focusing on the areas of electrification, automation and digitalization. One of the world’s largest producers of energy-efficient, resource-saving technologies, Siemens is a leading supplier of systems for power generation and transmission as well as medical diagnosis. With approximately 351,000 employees in 190 countries, Siemens reported worldwide revenue of $88.1 billion in fiscal 2016. Siemens in the USA reported revenue of $23.7 billion, including $5.4 billion in exports, and employs approximately 50,000 people throughout all 50 states and Puerto Rico. 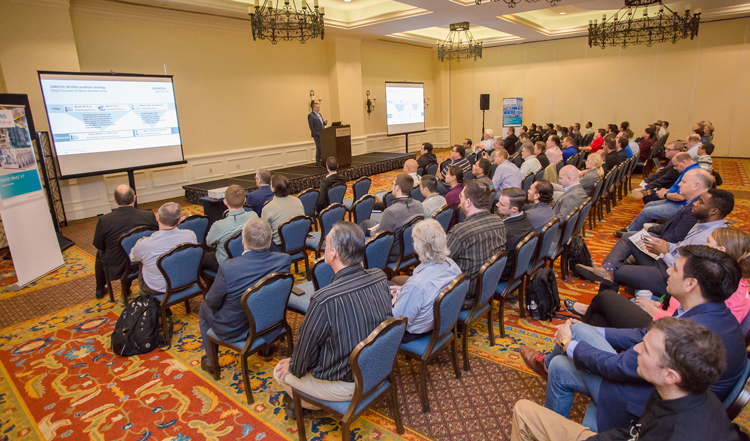 130 people gathered for Siemens’ SCADA/IPC days in San Antonio. From February 19-22, 2018, at the Riverwalk Westin in San Antonio, Texas, approximately 130 people gathered for four days of product presentations, emerging technology discussions and a market trend outlook at the Siemens Factory Automation SCADA/IPC Days 2018. Members of the Siemens management, sales and support team joined their Solution Partners and a diverse assortment of end user companies from various market segments to review new product offerings in the IPC segment of the Siemens portfolio, plus a number of new platforms in the SCADA segment. 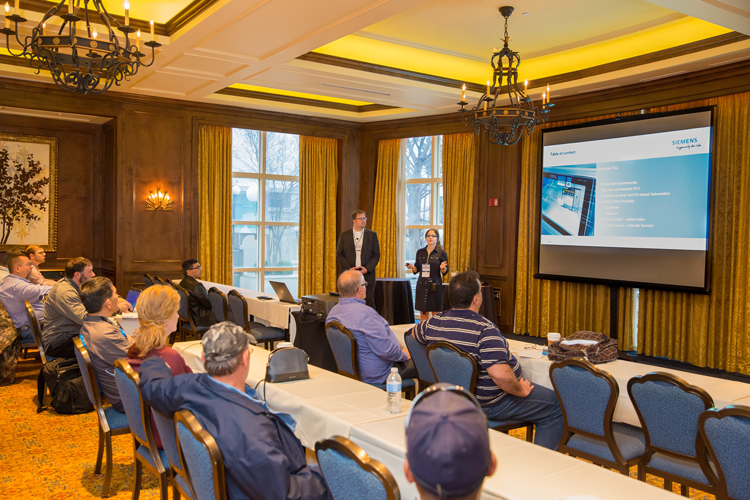 The event was hosted by the product marketing teams for Factory Automation, based in Norcross, Georgia. Following a welcome session on the first evening, a series of presentations were made on day two to the entire group by Siemens management and technical thought leaders, covering the digital factory strategy and the company’s forward-thinking move to Digitalization, the current theme for the Siemens marketing message across its entire industrial platform. Key speakers were Kevin Lewis, Russell Barnes, Thorsten Julich, Bernd Raithel, Michael Steigberger, Bernd Staufer and Tom Elswick. 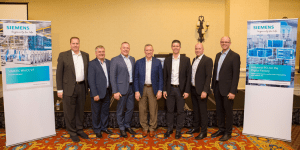 The primary message takeaway for the group was that Digitalization will hallmark the factory of the future and SCADA will be the “digital doorway for data” in that rapid evolutionary process, as it impacts all industries, both discrete and process. Alessandra Da Silva leading the industrial PCs workshop. There were also presentations on cloud computing and edge computing, the constituent elements of the Digitalization trend, comprising both hardware and software elements. This discussion led directly into the program’s introduction of various new thin client IPC product offerings and the latest version of SIMATIC WinCC SCADA systems. In addition to the technical presentations and market overviews, a very interesting end user application was detailed by end user Derek Thoma of Hop Valley Brewing, a Miller/Coors company. Thoma spoke on the marked improvements in production and product quality tracking made possible by the advanced IPC and HMI provided by Siemens, in addition to the SCADA software for process monitoring and management. During that evening, the entire group enjoyed a genuine Texas BBQ and a good time was had by all. 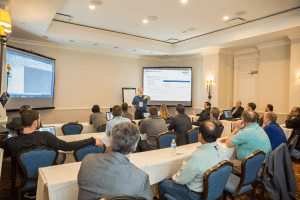 Day three began with a review of new IPC products and emerging technologies on the horizon from Siemens, followed by more intense product and software breakout workshops, tagged the Wisdom Series by the event coordinators. Finally, day four offered direct consultation from the Siemens product specialists gathered at the event, including the Solutions Partners, who represent the system integrator community at Siemens, as they bring the products, application engineering, installation and service, plus related data gathering and process control products to the process industries. In addition, those interested in becoming a WinCC Specialist were offered the opportunity to take their certification test during the event. Todd Malone presents on the topic of custom toolboxes at a Siemens workshop. Guest instructors were present during the workshop sessions to discuss such topics as Automation for Networks, Using WinCC to Build a Toolbox, Batch Tracking Made Easier with WinCC Archives, Mindsphere and Cybersecurity, and the Industrial PC of tomorrow. Rapidly developing MindApps for performance optimization on all types of industrial manufacturing and process machines were also discussed in detail, as Siemens seeks to assist its customer base and machine builders alike to gather, process, analyze and apply relevant data. Such data allow better process control and KPI development, plus have positive uses for machine liability, insurance, warranty and even energy saving calculations. 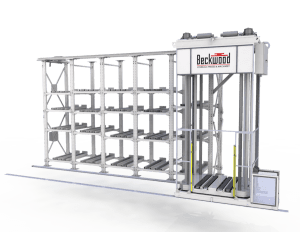 Beckwood twin hydraulic presses, each 1400-ton plus Quick Die Change (QDC) assembly with 15,000-pound load capacity and T-table staging devices for fully automated workflow. 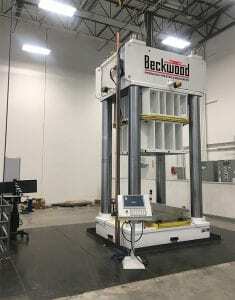 One customer, a metalform fabricator and producer of various components for the commercial and military aircraft sectors, brought Beckwood their challenge. 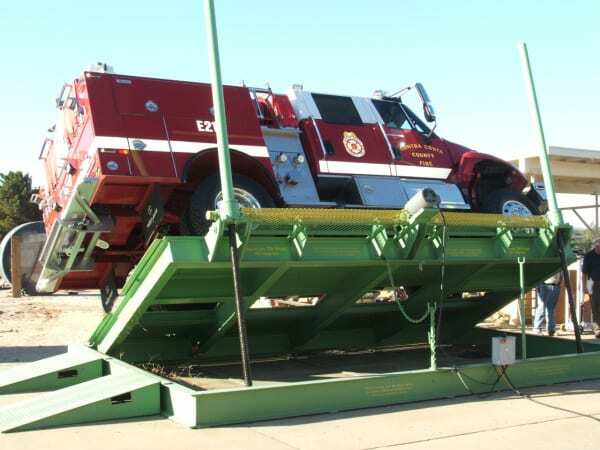 The company was seeking a turnkey package consisting of two 1400-ton hydraulic presses and two automated stamping die handling systems to load and unload the presses more efficiently than the conventional forklift and manual labor-intensive system this customer was currently utilizing. The presses and quick die change (QDC) workcells would be used to form a variety of parts in relatively low volumes, so the system to be designed needed a more automated die handling system. In addition, a 42”-diameter deep draw sheet hydroforming press with staging table was needed. Such a press would be the largest of its kind in the world, once produced. Siemens motion control and HMI are used on the entire system, with Safety Integrated features, allowing operators to remain outside the work envelope, in full machine process and monitoring mode. A critical part of the challenge involved the need for a QDC system with 15,000-pound capacity to feed each 1400-ton press. As Beckwood’s lead electrical engineer John Harte explains, “We conducted a thorough review with all our local die cart suppliers and all passed on the bid, citing too many obstacles on that large a load. So, as we often do, we decided to design, engineer and build the system ourselves.” The presses each had a footprint approximately 30’ square, and the QDC would need to service the presses with T-table staging devices, allowing the next die to be prepped and ready to insert upon completion of the previous run cycle. 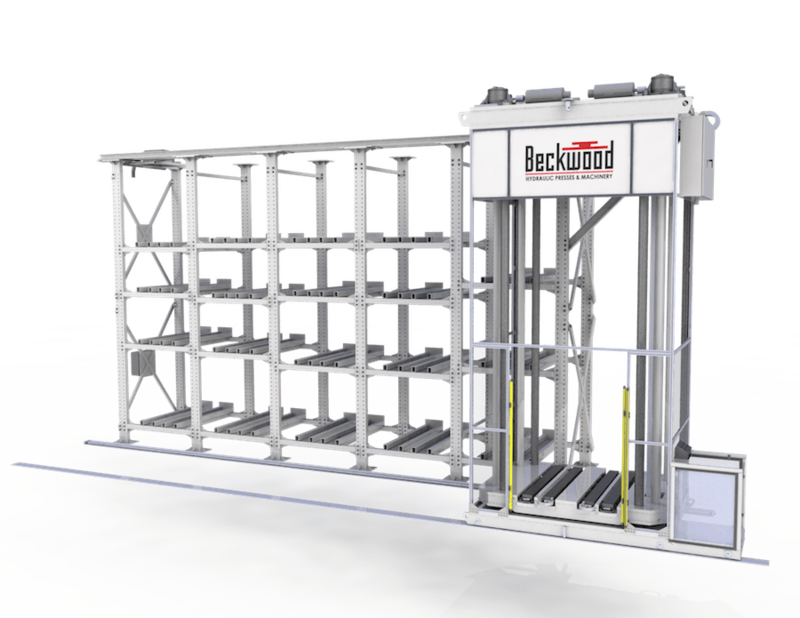 With the degree of automation involved, Beckwood worked with the customer’s engineering staff to devise a workcell concept comprised of two 4-post presses, each with a QDC system including a cart, rack and T-table with 15,000-pound load capacity. Each press would be over 33’ in height and positioned in a 10’ deep pit. As the customer was a longtime user of Siemens motion control and HMI, they specified this supplier for the project. Harte connected with Derek Eastep, his account manager for Siemens, and the product list for the project began to take shape. Various drives, PLCs, displays and motion controllers were specified. The latter was a critical component, as the motion controller was required to operate all press movements, as well as the motor starters, QDC integration, light curtains that protect the workcell and operators plus area scanners that maintain the integrated safety condition monitoring on the entire cell. The system logic and data logging setup was to be done by the customer, who had considerable experience with Siemens controls, with the Beckwood team integrating the QDC and overall cell management. The QDC operates in tandem with the two presses, using four 15HP motors to drive the lead screws on this massive die handling system. They are electrically geared through the onboard Siemens PLC to move the ram and shuttle. Additional motors and drives on the feed tables allow the next die to be positioned during press operation. When a press cycle is completed, the air bags on the feed tables lift the next die for positioning onto the QDC, then a shuttle inserts the die inside the press, with all motion controlled by the PLC. These T-tables and the QDC were designed, engineered, built and tested by Beckwood at their factory prior to shipment and installation at the customer’s facility. Both Beckwood and Siemens personnel were active in the commissioning of the entire system. Press/QDC workcell currently utilized by a metalform fabricator in the commercial and military aircraft industries. The PLC is a Siemens S7-1515—a robust controller that integrates function control, safety and condition display in a single module with Profinet protocol for bus communication. Through the TIA Portal and Step 7 software provided by Siemens, the end user can customize the operation of the devices remotely, integrating multiple part files and related safety commands in one controller. This “library” feature allows the end user, as they run a variety of parts during a shift, for example, to use one software package to program quickly and more efficiently. Likewise, the safety switches on the entire system are programmed through this secure and redundant safety back-up software through the TIA Portal. All motor movements on the twin four-post presses are controlled with Siemens drive technology. 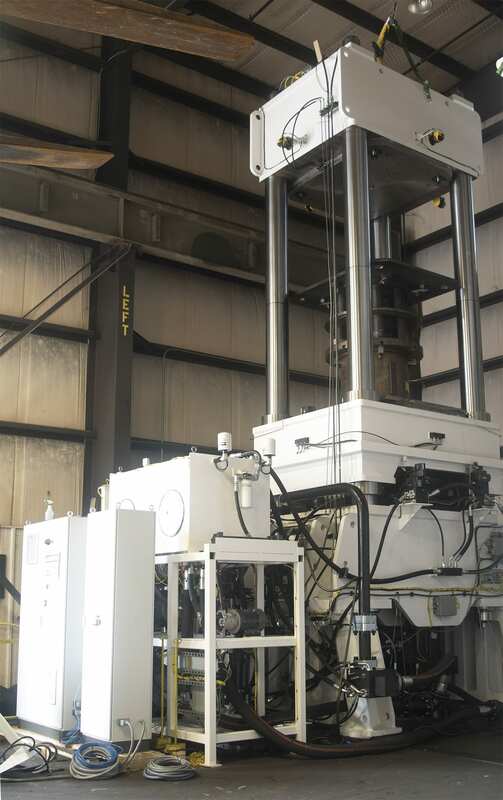 In operation, the Beckwood presses with the QDC systems are expected to reduce die setup and changeover from approximately two hours to ten minutes. As Derek Eastep from Siemens notes, “Because the end user was a longtime customer, we performed the application engineering with Beckwood and their customer, fully confident that the system would be set up and running in a relatively short time, as all parties had good familiarity with our protocols.” Harte adds, “We used the Selector, Sizer and Starter engineering tools from Siemens to spec and then commission the drives, which saved us a substantial amount of time. It made our lives a lot easier,” he muses. 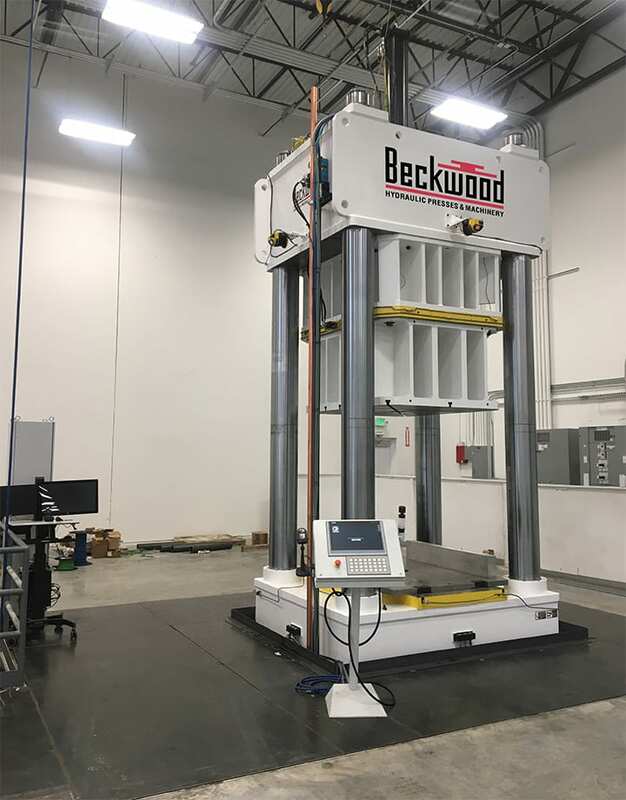 The two 1400-ton presses in the workcells are Beckwood’s robust four-post frame style with replaceable, graphite-impregnated bronze bushings and solid chrome-plated posts to ensure precision ram guidance. Designed to form parts with challenging geometries in low-volume, high-mix production environments, the 42” Triform deep draw sheet hydroforming press will be the largest press of its kind in the world. Josh Dixon, director of sales & marketing at Beckwood, says in the company video, “We hate the word ‘no’.” The success of this unique and first-of-kind press and QDC workcell, built by Beckwood with the help of its controls supplier Siemens, bears out that statement. Due to the versatile nature of Beckwood’s “built to order” business model, their machines are engineered to serve a variety of industries. Beckwood’s extensive experience serving so many industries provides a unique vantage point that customers find incredibly valuable. They are often able to recommend process improvements that customers may have never known or considered, revolutionizing their manufacturing operations. Beyond metal forming, the company also manufactures presses used to form rubber, plastic, composites and other material substrates. 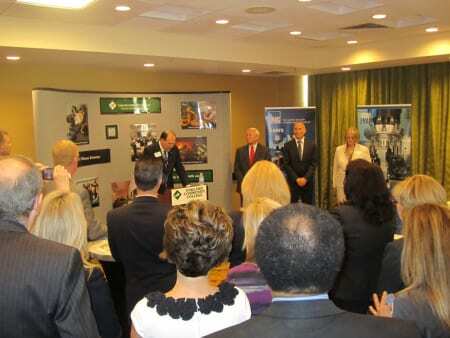 The business started in 1976 and is today led by company president Jeff Debus. 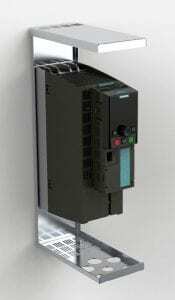 Siemens announced today the availability of wall-mounting kits for its Sinamics G120C and G120 PM240-2 modular drives. These low-cost kits allow easy, fast installation of the drives and conform to NEMA 1 and UL Type 1 standards for interior applications. These wall-mount kits are designed in accordance with UL 61800-5-1 standards for AC drives. Available in power ranges from ½ to 200 hp and voltages from 230V to 690V, the kits offer streamlined, compact design for use with all drive frame sizes of the corresponding Siemens drive units. Each kit provides best-in-class space-savings and direct access to the drive-mounted operator panel for simple commissioning, condition monitoring and even troubleshooting. The new kits accommodate all G120C, PM240-2 and PM240P-2 power modules, control units and operator panels in the Sinamics drive family. Standardized designs permit efficient side-by-side mounting with minimal clearance, while multiple conduit knockout holes allow separate power, motor, I/O and network cabling. Seven kits are currently available to fit all drive units from AA to F frame sizes. Siemens offers seven sizes of NEMA 1/UL Type 1 wall-mounting kits for its popular G120C and PM240-2 modular drives. The kits feature space-savings plus multiple knockouts for separate power, motor, I/O and network cabling. As Rick Hungerford, president and CEO of Edge-Sweets (ESCO) points out, think of the mattress that remembers, the steering wheel that saves lives or the bandage pad with built-in antibiotic. All these products start from blocks of cast polyurethane foam in various densities, then get cut, profiled or shaped by special machinery. ESCO is a leading manufacturer of such machinery, supplying the furniture, mattress, automotive, packaging, pipe insulation, healthcare and other industries with automated CNC profilers and horizontal cutting machines. Production speeds up to 840 inches per minute (21.33 meters per minute) are achieved on flexible and rebonded polyurethane, latex and viscoelastic materials, when used as either stand-alone cutting machinery or in tandem with automated materials handling and packaging lines. The ESCO end user base reaches into many industries in the global market. On two recent developments in the company’s machinery line, an engineering evaluation of competing motor, drive and controls lines was conducted, under the direction of Hungerford, who notes, “On our PMIII-1530, a horizontal profile saw with a 1.5 meter x 3 meter block cutting capability, we worked with one of our most trusted local suppliers of automation components, Wes Morgan from Electro-Matic Products, who introduced us to the Siemens motion controller, servomotor, gearmotor and drive package. We were seeking a controls platform that would have global support and standards compliance, as more of our machines are utilized for production outside the U.S. today than at any time in the past.” Hungerford further noted that, while the axes of motion are relatively limited on his company’s machine lines, the high-tension maintained and the need for precise positioning of the cutting wire on this machine made it necessary to have the most accurate and durable motor and drive combinations available onboard. Rick Hungerford Jr., president and CEO of ESCO (left), inspects the drives cabinet with Wes Morgan of Electro-Matic, the local Grand Rapids supplier of the Siemens product line. Functionally, according to Hungerford, the Siemens package allowed a single, common DC bus without stand-alone drives plus the system provided by Siemens is scalable to allow the cutting machine being interfaced with additional mechanisms and loading/unloading devices as part of an overall automated production line for customers. The PMIII-1530 is operated by a single PC plus a remote operator pendant that allows free movement with full operation control of the machine during setup. In selecting and programming the proper components for the ESCO machine, Siemens and Electro-Matic Products provided an optimized solution using the Sizer and Simotion Scout software provided by the component manufacturer. Once all the parts are in-house, construction of this machine is typically achieved in approximately 30 days, according to Hungerford, as ESCO does the bulk of the framework and final assembly onsite at the Grand Rapids factory. The Foamular® industrial pipe insulation produced on the PMIII-1530 is used in the oil and gas industry. The operation of the machine (as shown in the photos) begins with the CAM programming software written by the ESCO engineering team, plus additional data programs made available through ASTM for pipe and tube configuration. Hungerford mused, “It’s sorta like Etch-A-Sketch, but hardly a toy. Our engineers can take the canned programs and quickly make the necessary adjustments to the cutting paths to suit the machine cutting capabilities and the workpieces our customers are producing.” The software program is vital in accomplishing both an effective cutting as well as optimum utilization of the raw materials, through the nesting of the parts in the master workpiece block, done by the computational algorithms in the program. The workpiece is then loaded onto the vacuum table, the cutting head is positioned and the process begins. The material used by the ESCO customer, in this case, is Owens Corning Foamular®, a rigid polystyrene prepared in a tongue-and-groove configuration for industrial pipe insulation as the end product. In operation, the motors, drives and feedback devices work in tandem to ensure a quick, smooth and efficient cutting of the material into the desired shapes. The customer using the upgraded controls model of this ESCO machine is currently reporting a reduction in its cutting cycle times from 3½ hours to 20 minutes, according to Hungerford. Commenting further about the drive performance, Wes Morgan of Electro-Matic noted that the Sinamics drive platform offered three distinct benefits. “The product line is consistent across a wide range of motor capacities, which is a real advantage for ESCO. Also, the regenerative feedback feature creates substantial energy savings for the end users, plus the Sinamics drives have a smaller footprint, owing to the dual motor modules and common DC bus system and this results in a more compact control cabinet.” He also noted the Simotion motion controller allows ESCO a single platform to perform simple axis to very complex integrated motion controls with a standard product, resulting in greater efficiencies in the design, programming and installation time for this builder and its customers. On the second machine where ESCO implemented a controls upgrade, the HTX high-tension slitter/stacker incorporates a Simatic PLC, Sinamics variable frequency drives, Simotics servomotors, motor starters and contactors from Siemens. This machine, instead of a cutting wire, utilizes a tangential razor-like blade in a slit-and-retract motion, with the blade articulating on each pass through the material workpiece and then being automatically coated with silicone in the blade housing to maintain cut integrity. The unit shown in the photographs here is the HTX 51-88 (indicating a 51” high x 88” wide x 132” long cutting zone), making ¼” thick cuts in a poly foam block. The machine is further capable of 1/8” cuts in production, as Hungerford noted. “This machine operates in tandem with other machinery we build, so the conveyor feed mechanism positions the workpiece for the cutting at the first station, then indexes it through the HTX to the next stations, where additional cuts and profilings are performed. 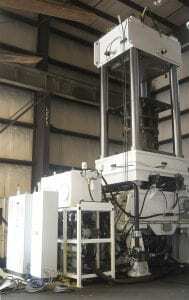 ESCO also produces vertical cutting machines, convoluters, roll splitters, contour cutting machines, metering and dispensing solutions for lab and production use, plus the company supplies fully integrated systems for polyurethane processing, including robots, curing ovens and mold designs to its worldwide customer base. for the Sinumerik 840D sl CNC system and offer new options for machine tool operation. The Sinumerik blackline panels OP 015 black and OP 019 black are a new generation of operator panels for the Sinumerik 840D sl CNC system and offer new options for machine operation. The inductive sensor technology enables rapid interaction with the user interface even when the operator is wearing gloves. Similarly, it prevents incorrect entries, for example caused by the heel of the operator‘s hand. The 19-inch display of the OP 019 black can show all the entries made in widescreen format at a glance. The OP 015 black also features an alphanumerical keypad on the right that can be operated via touch control. This feature means that the 15-inch display is not restricted by the superimposed keypad during data entry, which ensures clear and efficient operation. Both blackline panels also have an integrated glass panel on the front side and are designed with IP65 (OP 019 black) and IP66 (OP 015 black) degrees of protection. They are resistant to liquids and dust and can be operated even under harsh industrial conditions. An integrated key lock helps safeguard against operating errors. The operator panel can provide a basic machine display, with three or four channels showing up to 13 axes. The blackline panels also feature durable LED background lighting, providing 40 percent energy-savings compared to conventional neon lamps. In combination with the Sinumerik 840D sl control, for use on high-end milling, turning, grinding and laser cutting machine tools, the blackline panels can be used as an operating and programming station for aerospace composite machining, power generation and medical part manufacturing, in addition to tool- and mold-making, rotary indexing machines and in shopfloor manufacturing. The Siemens Industry Sector is the world’s leading supplier of innovative and environmentally friendly automation and drive technology, industrial software and technology-based services. The Sector’s comprehensive portfolio covers the entire industrial value chain, from product design, engineering and production to services. Siemens enhances its customers’ productivity, efficiency, and flexibility in a wide variety of different industries. With a global workforce of more than 100,000 employees, the Industry Sector comprises the Divisions Industry Automation, Drive Technologies and Customer Services as well as the Business Unit Metals Technologies. Siemens has developed new control hardware with greater computing power for its panel-based Sinumerik 828D and Sinumerik 828D Basic compact CNCs for turning and milling applications. 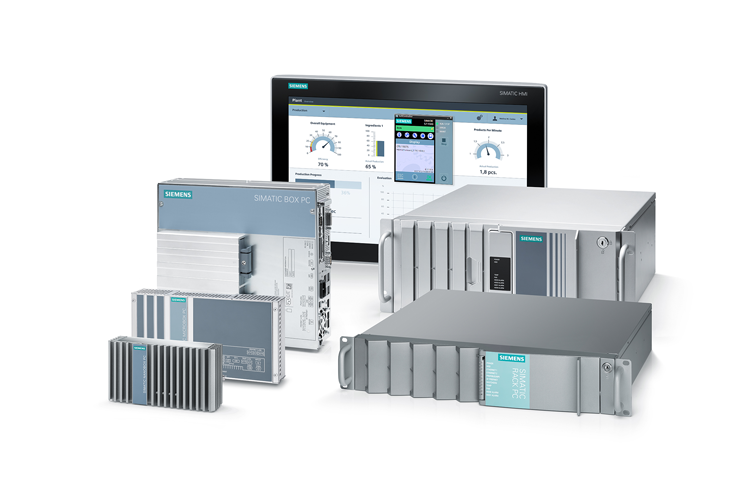 Siemens has developed new control hardware with greater computing power for its panel-based Sinumerik 828D and Sinumerik 828D Basic compact CNCs for turning and milling. The new PPU2xx.3 panel processing units replace the previous PPU2xx.2 generation and are available for all six versions of the Siemens compact CNC. 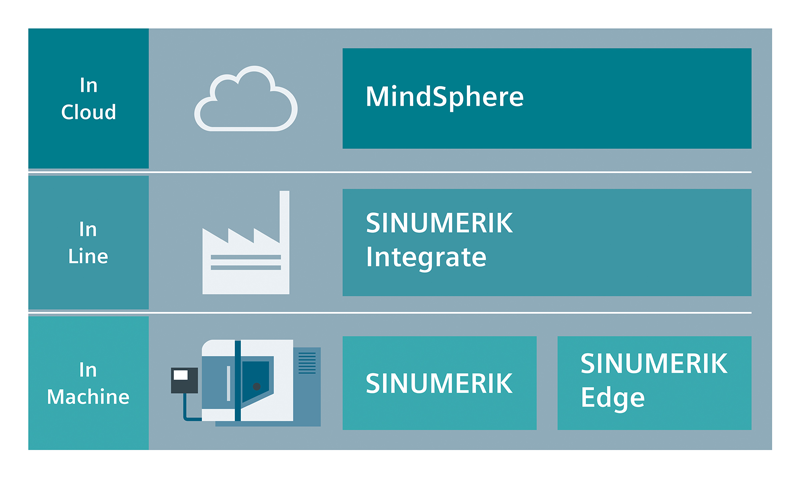 The greater computing power has significantly accelerated the operating speed of the Sinumerik Operate graphical user interface during commissioning, programming and operation. For example, when changing operating areas, the screen forms are loaded almost twice as fast as before. The new PPU2xx.3 hardware for Sinumerik 828D and Sinumerik 828D Basic has a more rugged design than the previous version so that it can be used in harsh industrial environments, and it is also better protected against wiring errors during installation in a control cabinet. Additionally, the Sinumerik 828D Basic can now also be used for turning and milling on one piece of hardware. This reduces costs, especially in regards to spare parts. PPU2xx.3 has the same dimensions and connectors and is fully compatible with version PPU2xx.2. This ensures trouble-free conversion to the new hardware, which requires Sinumerik 828D V4.5 SP3 software or higher. For more information about Siemens CNC solutions for the machine tool industry, visit our website: www.usa.siemens.com/cnc. For specific product information and inquiries, call (800) 879-8079 ext. Marketing Communications or send an e-mail to: SiemensMTBUMarCom.industry@siemens.com. With Motion Control being added to all areas and levels of machines, it is becoming common place to see more and more servos in the latest designs. Increased cost position, both upfront and operational, along with the leapfrog in usability of servos, have been major drives in this adaption outside of the obvious productivity benefits. In this session we will look at emerging trends revolving around cabling and encoders for servomotors that are leading this innovation. We will first look at using field replaceable encoders for servomotors which have greatly improved the on-site serviceability. Next, we will discuss benefits of using digital communications for encoder signals and built-in electronic type plate technology, which has provided plug-and-play commissioning for servo systems. This discussion would not be complete without exploring the single cable approach for both encoder and motor power, and what this emerging trend will mean for future machine designs. Click here to view the Conference Details on the IMTS Website. Craig Nelson is the product marketing manager for SINAMICS high performance servo and vector drives in the Motion Control Business of Siemens Industry, Inc. Craig has been with Siemens for over twenty years and, in previous roles, has held engineering positions in the field and in system design. He has expert knowledge of AC and DC drives across various applications and is an avid promoter and presenter of new motor and drive technologies. Follow us on Facebook: www.facebook.com/SiemensCNC or Twitter: www.twitter.com/siemens_cnc_us. Siemens Industry Sector is the world’s leading supplier of innovative and environmentally friendly products, solutions and services for industrial customers. With end-to-end automation technology and industrial software, solid vertical-market expertise, and technology-based services, the sector enhances its customers’ productivity, efficiency and flexibility. With a global workforce of more than 100,000 employees, the Industry Sector comprises the Industry Automation, Drive Technologies and Customer Services Divisions as well as the Metals Technologies Business Unit. For more information, visit http://www.usa.siemens.com/industry. The Siemens Drive Technologies Division is the world’s leading supplier of products, systems, applications, solutions and services for the entire drive train, with electrical and mechanical components. Drive Technologies serves all vertical markets in the production and process industries as well as the infrastructure/energy segment. With its products and solutions, the division enables its customers to achieve productivity, energy efficiency and reliability. For more information, visit http://www.usa.siemens.com/drivetechnologies.